Sensors for motion capture, biomechanics, industrial control, robotics, facility management, cold storage, research + product development.  Our sensors include an accelerometer, gyroscope, magnetometer, barometer, temperature, and ambient light sensor. 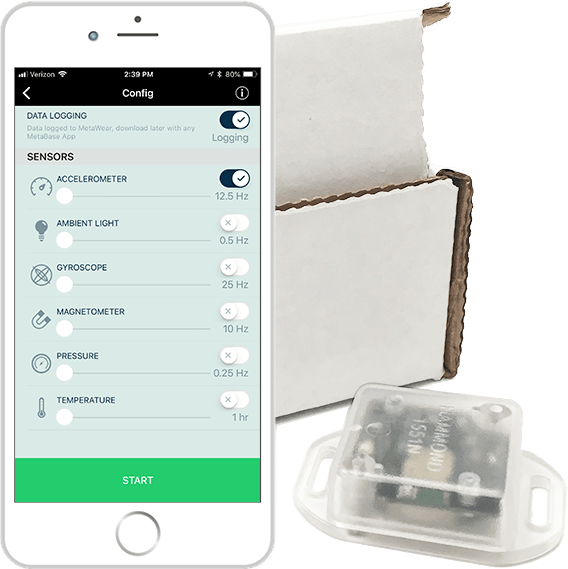 Our sensors use Bluetooth to communicate and also include an ARM CPU, LED, push button, and memory for storing sensor data. Many wearable options available including adhesives that stick to the skin, velcro bands, wristbands, belt clip-ons, wall-mounts and more. With our sensors, hundreds of white papers have been published and thousands of studies have been completed. Current customers include technology industry leaders such as Apple, Google, Siemens, Nissan, and the US Olympics team. Get degrees of Flexion, Deviation, Rotation and more. 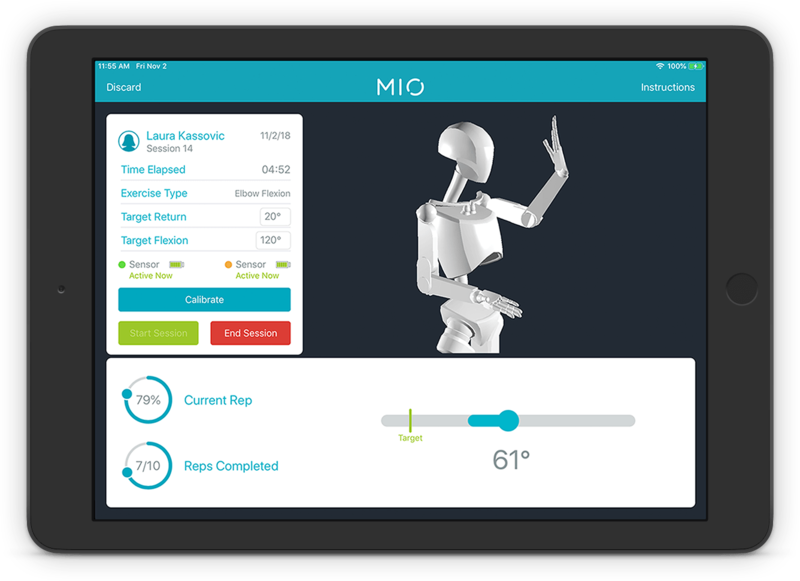 A complete solution that automatically measures, analyzes, and stores your patient’s physical therapy data. Command the sensors to do anything from log accelerometer data in memory to call emergency services when a fall is detected. Our APIs support all the major platforms and can be easily added to your App. 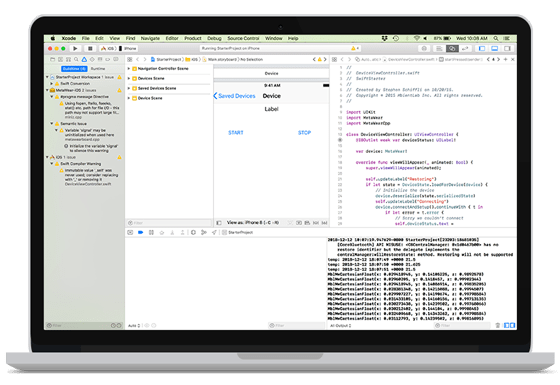 The MetaBase App can be used to configure sensors and retrieve sensor data in logging or streaming mode. For example, you can set two Sensors to log accelerometer data at 50Hz to your iPhone7. Or, you can stream and graph humidity and temperature data on your Windows laptop. Data can be sent from the MetaBase App to the MetaCloud in seconds where your data will reside safely until you are ready to download it. Data can be graphed on your browser or downloaded in CVF format. Best suited for those who do not want to use Smartphones to download sensor data or those who are ready to deploy IoT solutions. Get sensor data in seconds with no hidden fees or subscriptions. 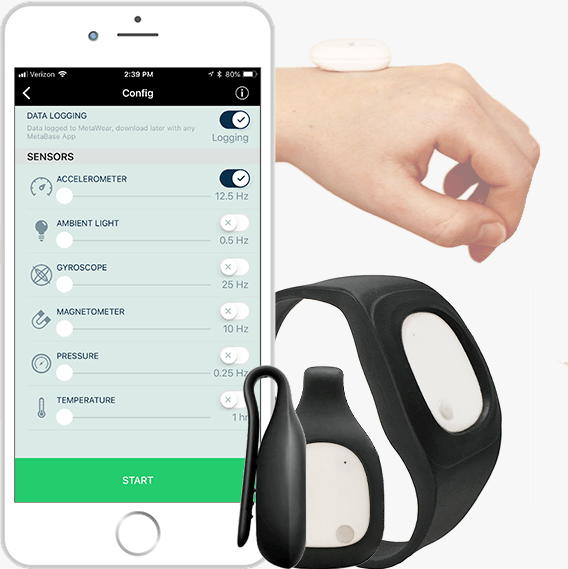 Wearable sensors are placed on a body to measure functional movement and activity. 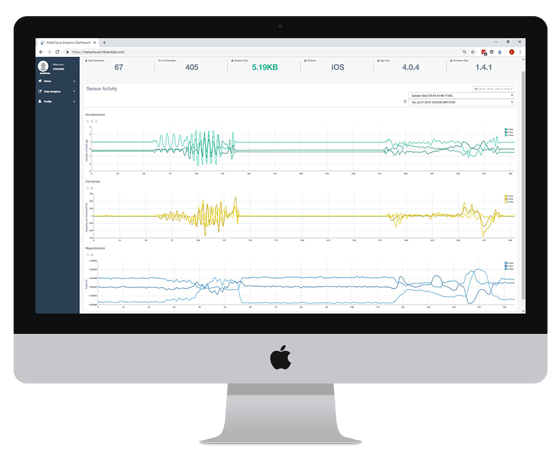 All of your sensor data in one place for easy and quick access. Data can be used for POCs, prototyping, or supporting evidence in research. Made in the USA. We ship worldwide. Paypal, Credit Card, and ACH accepted. Reduce risk and time to market. 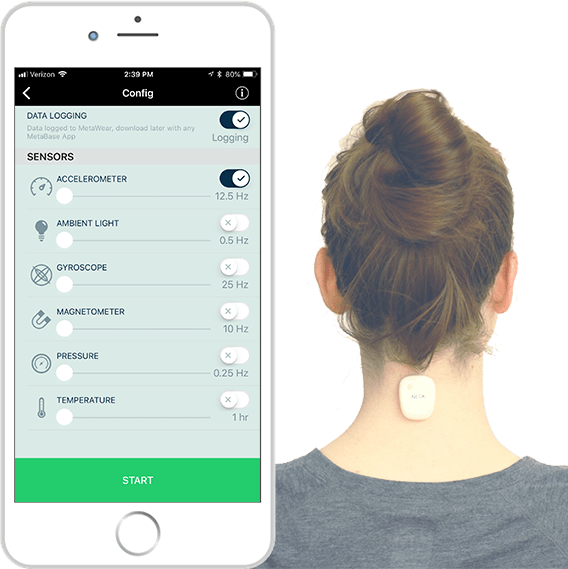 Novel positioning sensor with real-time feedback for improved postoperative positioning: pilot study in control subjects. Do you have a Question? Need to order in bulk? Urgent shipment requests? Simply contact us using our contact form. 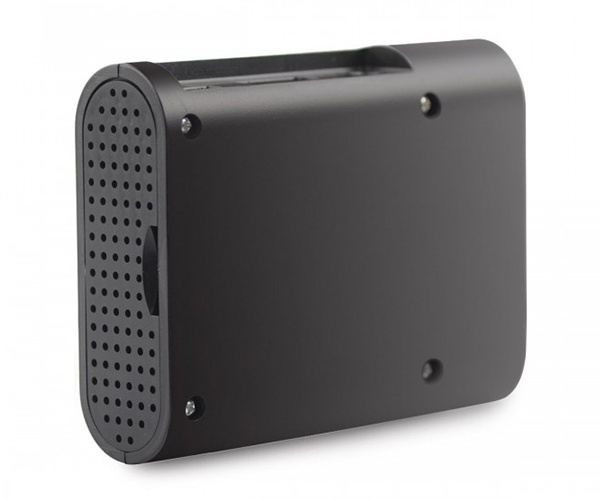 We offer development and design services from prototyping to mass manufacturing. Take your idea and turn it into a product with an experienced team and trusted technology. Send us your specs to get the quoting process started.